I never developed any appetite for shark fin soup. I’ve eaten it in some Chinese banquets during trips to the mainland but I never really took a fancy to it. In fact, I’m slightly bewildered why people like it. It doesn’t taste good and it doesn’t even have nutritional value. Is it because it’s a famous dish and having it is like a status symbol? Wo bu ming bai. 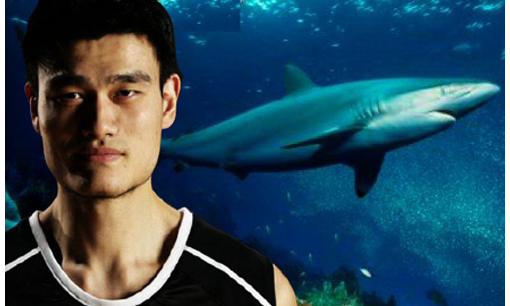 And now, Yao Ming has spoken up against eating shark fin soup. The practice is so cruel that if people are educated about the process of shark finning, maybe they would stop eating. That is if they have a heart and a conscience. What if you could see how shark fin soup is made?